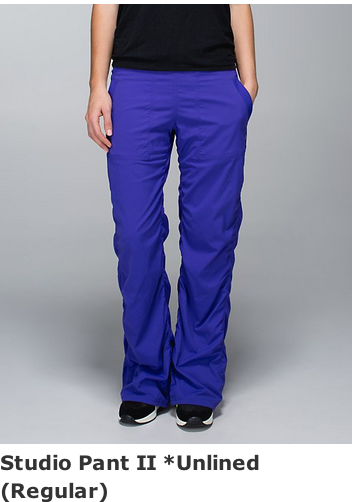 From a US product alert email this morning, Bruised Berry Studio Pants. "Trouble Deciding On The Dance Studio Jackets?" "The Latest: Blissed Out Wrap, Tranquility Sleeveless Wrap, Seamlessly Covered Tank, Seamlessly Street Crops, Next To Nothing Tank"